Images, infographics, photographs, snapshots, pictures, etc are more informative than text. This is the reason why image WordPress themes have become very popular these days. There are various vendors in the market who guarantee top class image WordPress themes which are loaded with plenty of features & services. But the confusion lies which one is right for your business. So, to overcome this drawback in this blog we have listed some of the best image WordPress themes. All these themes are elegant in design, 100% responsive, supports WooCommerce, other plugins and offer various advanced services. If you are an art lover and want to have a website to showcase different art forms like painting, sculpture, photography, visual art, etc. 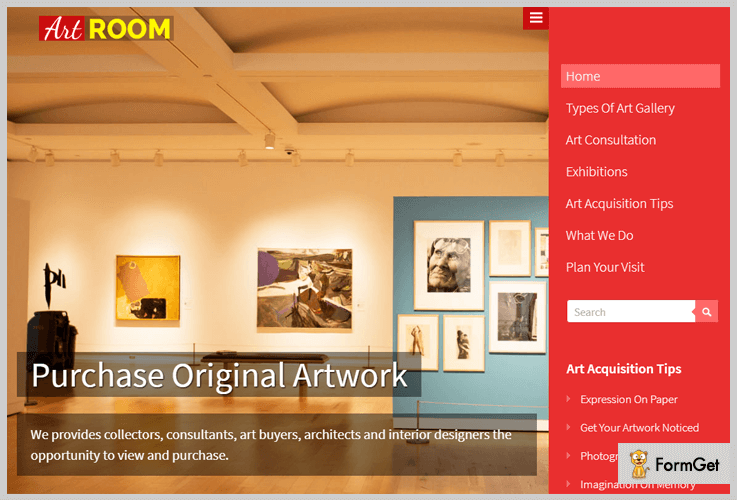 In that case, art gallery WordPress theme will be the best option for you. This theme will help you build a responsive website which looks great on various devices like mobile, tablets, desktops and more. Plus you will be allowed to attach full-width images on the homepage with title and text description. Art gallery WordPress theme is best for people who have art rooms, photo galleries, and conduct photo exhibition. This theme will cost $79 and help them build a responsive website. Gallery section where high-definition images and photos can be display and categories for every image can be defined. Custom vertical menu button which pops in and out on the click of a button. Supports all latest browsers and is SEO optimized which will help you achieve high-rank web search. Responsive full-width layout which is easy to navigate and allows you to showcase recently added images on the homepage. You also get inbuilt contact form and unique color options to design a custom website. 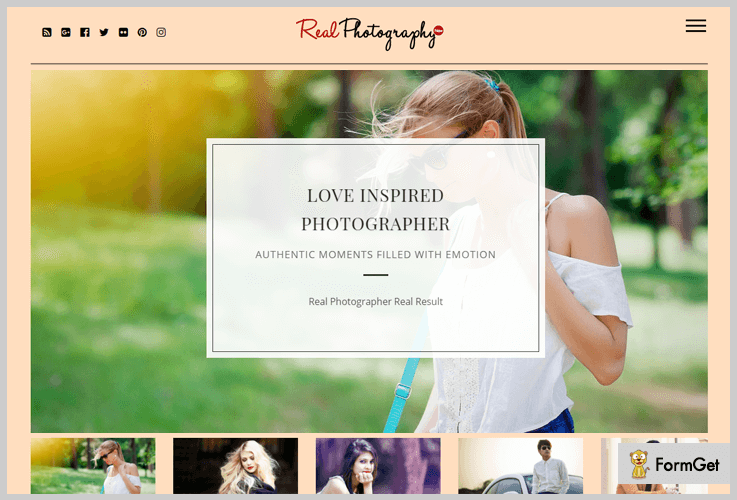 Real photography is a WordPress theme which is specially crafted for photographers who are interested in owning an online photo gallery. This theme will enable them to project high-quality images and photography in an eye-catchy manner. It also provides a powerful theme options panel through which you can apply various style changes. You can customize layouts, text styles, colors, fonts and more. $59 is the price of real photography WordPress theme with which you get 24/7 support, developers license and free demo content. Premium themes membership plan which will charge $147 the first time and later $15 a month for the access to 49 themes. Themes+Plugins membership will cost you $247 the first time and later $15 a month. It will give you access to 49 themes along with 10 premium plugins. This is a fully responsive template which comes pre-equipped with animation effects which can be customized. Just add your Instagram profile to this theme and you can easily share photographs and images from your profile on your website. Boxed slider area where you can display images in an attractive way with title and text description. 4 different types of blog layouts which will help you give a custom look to your website. You can attach custom logo and social icons in the head section which comes along with toggle menu. This theme offers a one page layout which is perfectly suitable for designing a portfolio website. 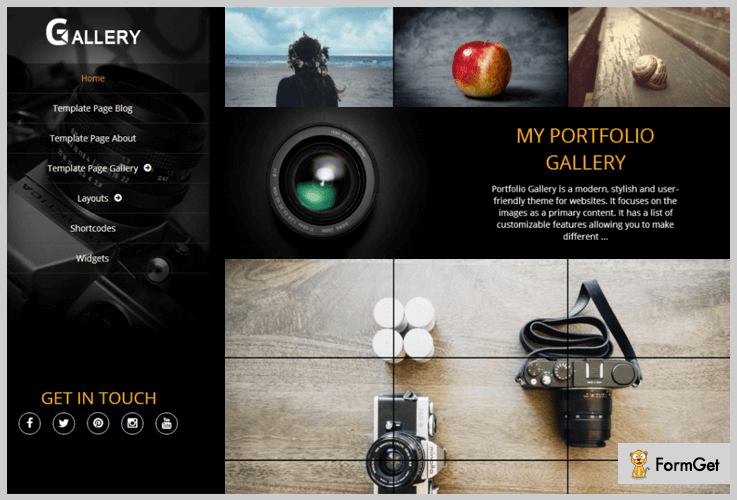 Photography studio WordPress theme is user-friendly and allows easy navigation where the user accesses from mobile or desktop. You can add custom logo image, menu, contact details and social icons in the head section. Plus it also allows displaying most recent blogs on the homepage of your website. 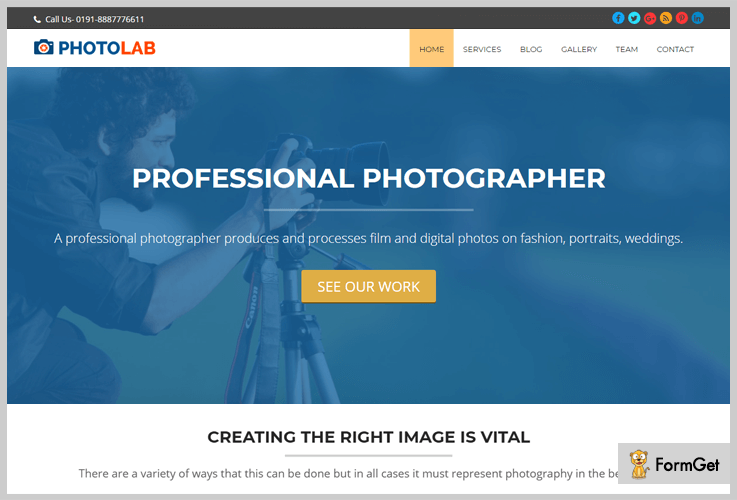 Photography studio WordPress theme offers one-click installation, developers license, 24/7 technical support and more at a cost of $79. Responsive one page theme layout which is easy to navigate and looks great on different devices. Featured area to define services in a professional manner along with font awesome icons. Exclusive video section which allows you to embed HD videos and clips about photography. Gallery section with hover effects where images can be added to categories. Contact us area is the location where you can add contact form and geolocation of your business on Google maps. This is an image WordPress theme which has got all the necessary features of an e-commerce template. Using this theme you can easily sell paintings, images, pictures, 3D drawings and custom made art online. 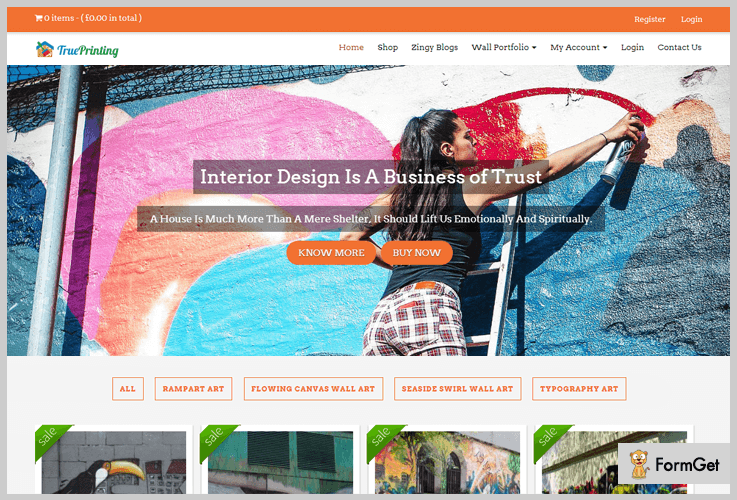 With wall painting WordPress theme you are permitted to create shop page to display products, individual product pages, attach add-to-cart button and more. This is an image WordPress theme which is priced $79 for full-time support, multi-purpose usages, custom demo content and other advanced services. This theme is consists of WooCommerce compatibility which helps you sell products online. Collect online payments for paintings and images in a secured way through PayPal payment gateway. Widgetized footer and sidebar areas where you can assign widgets like recent products, blogs, categories, and more. Allows you to create multiple pages, blog posts, and products pages. Full-width slider to project images of paintings along with the title, short description and buy now button. 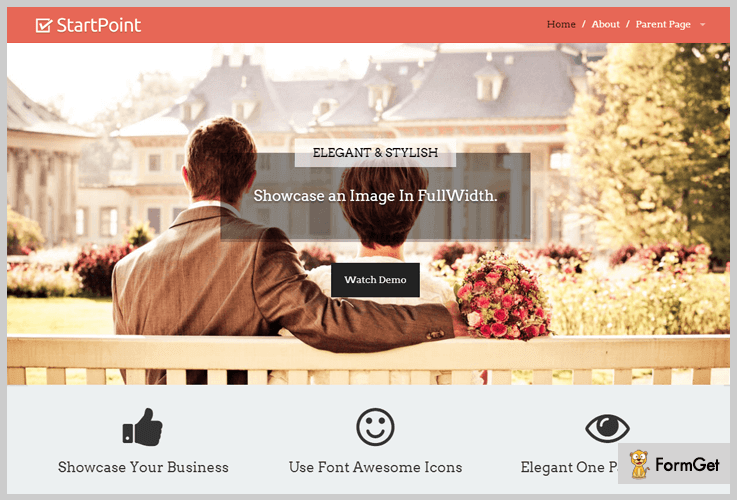 Start Point template by InkThemes is totally free. This theme has got a one page layout which is fully customizable and permits you to implement various design changes. The theme options panel helps you add a custom logo, navigation menu, color and other styles. All the changes require no coding or programming skills even a non-technical person to do them with ease. Start Point is a completely free WordPress template which can simply be downloaded from wordpress.org with a single click. This theme comes with an Inbuilt contact form to accept messages and user queries. Dedicated featured area where you can define business services using font awesome icons. Special blog section on the homepage where recently published blogs are automatically displayed. Multiple widgets area where you can add the search bar, categories, blog posts and more. Theme options panel using which design changes can easily be applied on the website. Portfolio gallery WP theme provided by Webdorado is fully responsive and offers WooCommerce compatibility as well. With this theme selling images, photography and other forms of image art become very easy. You can showcase images in the gallery section, full-width slider area, and through blogs on the website. This is free WordPress theme which holds over 5,000 active installations and has got a high star rating on wordpress.org site. Fully optimized for SEO which helps to get an enhanced rank on the web search. It comes with an inbuilt contact form which can easily be attached to the website. Provides cross-browser compatibility and multilingual support. This theme permits you to apply custom changes in styling, colors, fonts, etc. It’s time to close this blog as we have accomplished our goal of defining the best image WordPress themes and I am pretty confident about the fact that you must have found a good theme for your website. If you have any kind of doubts or queries in your mind about this blog, you can ask them to us through comments below.